BHU Online Form has been issued for filling up the vacant positions of clerk, PGT, TGT, PRT and other job profiles in the university. BHU Recruitment department issued an official notification on their official website related to these Government jobs available for fresher candidates. Those who are looking for a Government job can apply for this recruitment process through online process. You have to follow the BHU Official website for online applications. 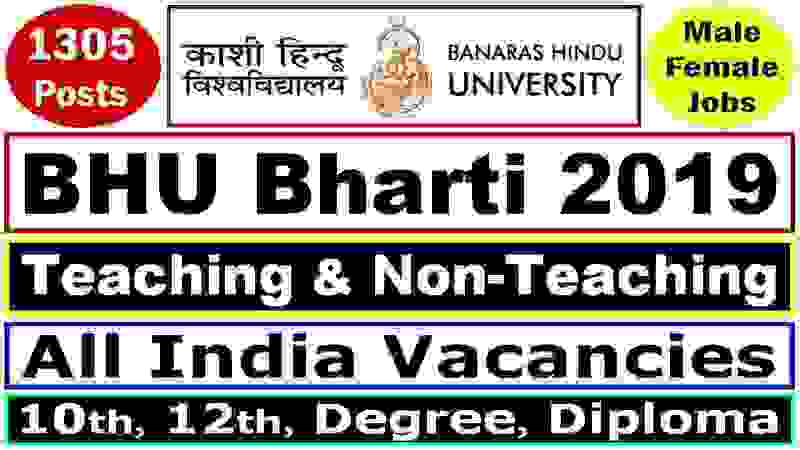 APPLICATIONS are invited from the Indian Peoples on the online form available at Recruitment and Assessment Cell portal of BHU for Non-teaching under Group ‘A’, ‘B’ & ‘C’ (including erstwhile Group ‘D posts) and School Teaching posts Principal, Vice-Principal, PGTs, TGTs, PRT in CHBS (K), CHGS (K) & RSV (K) for the various Units/Sectors in the University as per the Pay matrix indicated below. 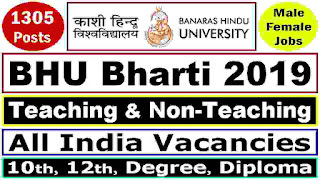 More information related to this BHU Recruitment 2019 is given below in this article. So read it till the end very carefully before moving to online application.